Original artwork by P. X. Santaella featuring Aztec and other important pre-Columbian cultures. 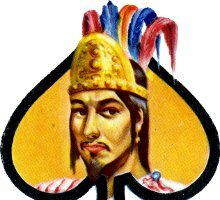 The Ace of Spades features Emperor Ahuizotl (1486-1502). 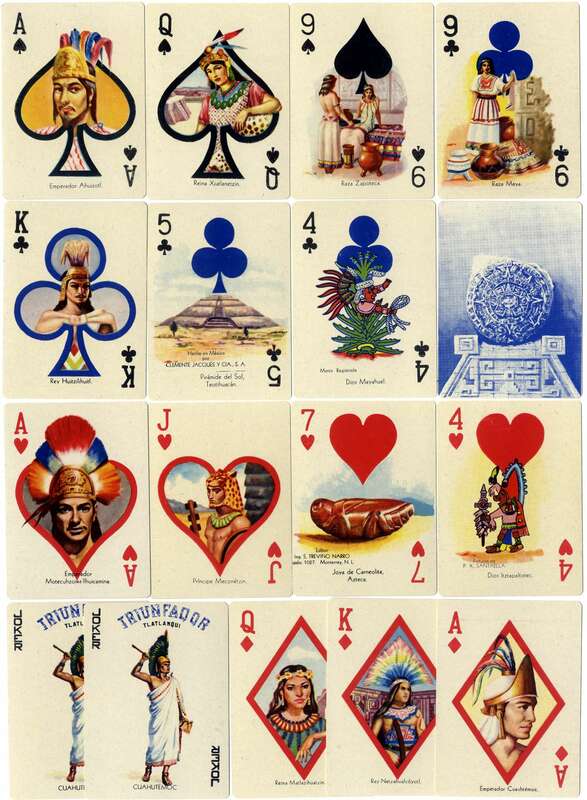 The 5 of clubs (second row) shows the Teotihuacán Sun Pyramid, one of the masterpieces of Mexican architecture, V century, and also the name of the manufacturer, Clemente Jacques y Cia, S.A. 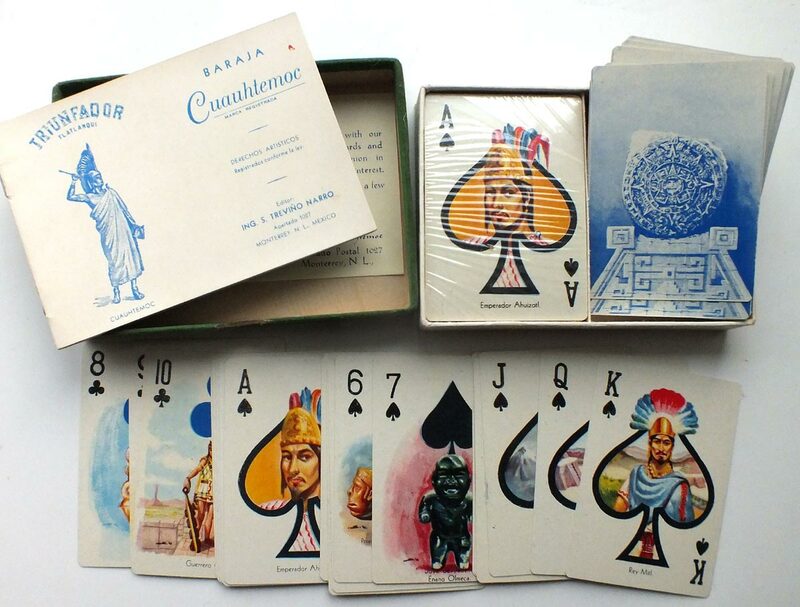 Above: Aztec Playing cards - Baraja Cuauhtémoc - published by Treviño Narro, Monterrey, Mexico, c.1950 based on original paintings by P. X. Santaella, whose name appears on the Four of Hearts. Printed in Mexico by Clemente Jacques y Cia, S.A. Presented in single boxes or double pack 'Canasta' boxed sets with matching backs and 20-page leaflet describing the images on the cards. The Ace of Diamonds shows Emperor Cuauhtémoc ('Falling Eagle', 1495-1525); Queen of Spades Queen Xiutlanetzin who had 100 slaves to attend to her needs. The Jokers depict Tlatlanqui, signifying 'Victorious' and who represents the last of the Aztec monarchs.